Silicon Valley has long established itself as the center for tech and innovation. If you are looking for inspiration, these attractions will get the juices flowing. No trip to Silicon Valley is complete without paying a visit to its so-called birthplace. This is where Stanford alums William Hewlett and David Packard made history in 1939. The HP Garage is currently not open for public tours, but visitors can admire the one-car garage and its American Craftman style. It became a California Historical Landmark in 1987. Additionally, it is now listed on the National Register of Historic Places. Affectionately referred to as “The Tech,” this is one of the premier museums of its kind in the country. In 2015, it received the National Medal for Museum and Library Service for its outstanding contributions in science education. Plan ahead to fully enjoy this interactive facility. The Tech is open every day except Thanksgiving and Christmas. Buy tickets here. 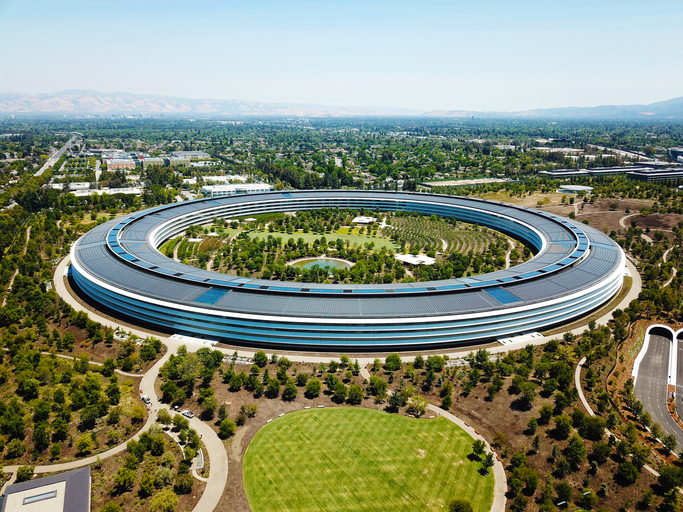 Covering a total 2,800,000 square feet, Apple’s corporate headquarters is one of the most expensive buildings in the country. Although the offices are out of bounds to the public, visitors can take a peek into the world of Apple at their specially designed Visitor Center. The Apple Park Visitor Center is open Mondays through Sundays, at 10600 North Tantau Avenue. The center features exhibits, a cafe, a roof terrace, and of course, an Apple store. Go behind the scenes of one of the largest tech companies in the world. Although it features a variety of changing exhibits, the main attraction is the video tour of the chip fabrication facility. If the HP Garage is the birthplace of Silicon Valley, Intel’s chip fabrication facility is the hometown of computer chips used all over the world. The Intel Museum is open Mondays through Saturdays. Visitors should call ahead to check the museum’s availability. A stone’s throw away from Stanford is Sand Hill Road, where you can find a large concentration of venture capital companies. It is also one of the most interesting parts of Silicon Valley. Unlike the previous attractions, Sand Hill Road does not offer much when it comes to tech and innovation. A trip to this area, however, provides an interesting look on how venture capital funds the world’s biggest tech projects and companies. A visit to Sand Hill Road offers a different “behind-the-scenes” look of Silicon Valley’s thriving tech industry. Silicon Valley is home to opportunities, from jobs and tech to real estate and investments. David and Sunny can help you experience the area, browse property listings, and find the right home for you. Contact the team today at 650-489-6251 or info(at)davidandsunny(dotted)com and start building a better life in Silicon Valley.